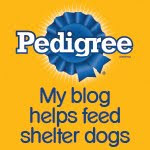 We love it when humans think up clever ways to use the latest craze to help pets in need. You might remember that 2013 was dubbed the "year of the 'Selfie", when humans snapping cell phone photos of themselves was all the rage. Apparently this intellectual activity continues to be popular in 2014. But combine selfies with "photobombing" (you cats watch out! ), and you have a new social media tool to help adoptable dogs find their forever homes: "Muttbombing"! One of the funniest reporters out there, Jeanne Moos of CNN, digs deeper into the muttbombing craze. Check it out for some laughs, but seriously consider using it to help adoptable pets. It doesn't have to just be used by shelters, like Dallas Pets Alive, who dreamed up this technique together with an ad agency. We're guessing that anyone can photobomb a photo that's been popular on the Internet. Just be careful about using the now trademarked word "Muttbombing" unless you go through that organization. 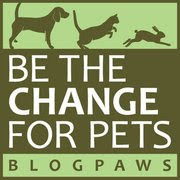 Let us know what you think of this new idea to help spread the word about adoptable pets. We'd love to know! LOL muttbombing love it. Have a super Saturday. that is such a cool idea.....we like it ! We Love this MUTTBOMBING. Hope Many of them find homes.